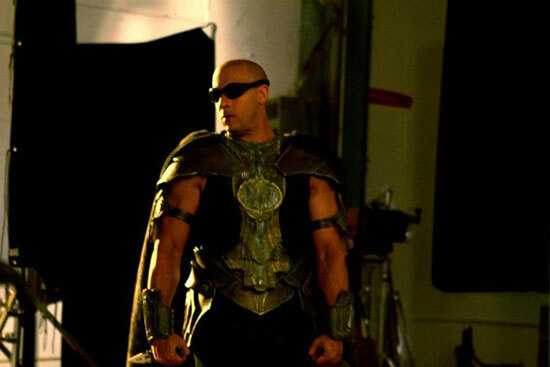 Riddick is back, and he's sporting cape and new armour in a pic from his newest movie outing! P.s. One from the set..."
The film's rumored title is The Chronicles of Riddick: Dead Man Stalking, and it'll feature new characters portrayed by Battlestar Galactica's Katee Sackhoff and stage actor Nolan Funk. The film is scheduled to hit theaters sometime next year.